Living Cultural Museum.Roof of the World.Country of Living Goddess.Just some of the titles that Nepal has been honoured with. One of the most exotic destinations of the world, Nepal offers an astounding diversity of scenic locations and adventure opportunities. Home to the highest mountain peak in the world, Mount Everest, Nepal offers a wide variety of eco-systems and natural resources ranging from mountain ranges to tropical jungles. However this diversity in Nepal's terrain also makes many of its locations inaccessible through road creating a huge scope for air travel, primarily through helicopters. 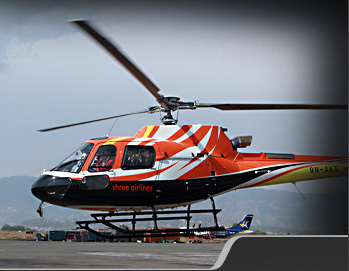 Helicopters have some unique advantages that make them ideal for various specialised tasks. 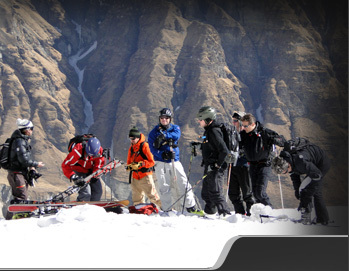 The ability to access tough terrain and being able to land almost anywhere are some of them. With our well maintained fleet and a seasoned crew, we are committed to offer you all of those advantages at reasonable costs. 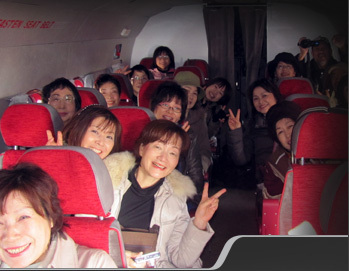 Building on the extensive terrain knowledge of our pilots, we offer some of the most wonderful options in religious tourism. 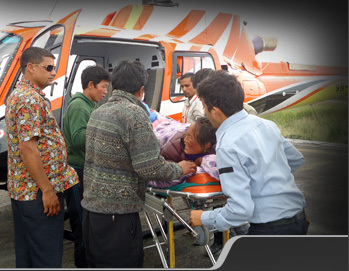 Helicopter enabled religious tours are ideal for those who cannot commute through land for health reasons or paucity of time. Besides, it gives you access to some heavenly views from the sky that the land travellers tend to miss. 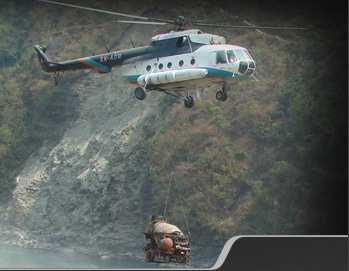 We are a complete air logistic support company with deep expertise in offering associated helicopter services including charters, search and rescue services and medical emergency evacuation.